Big Bend National Park is in southern Texas along the border with Mexico. The border is marked by the Rio Grande River and the park covers 118 miles of it. While pets are not disallowed they are not overly welcome. They can only be in paved areas or campgrounds. There is also the threat of the local wildlife especially Javelinas. 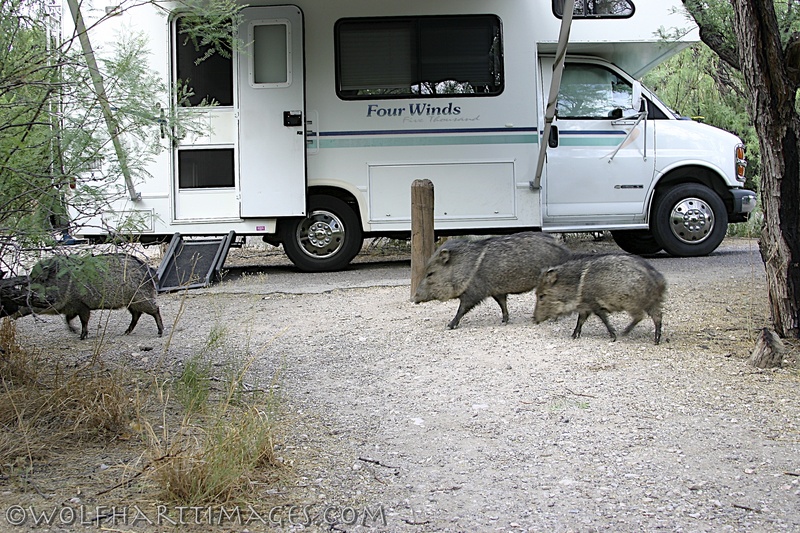 The campground boards have photos of dogs attacked by Javelina and most do not survive. 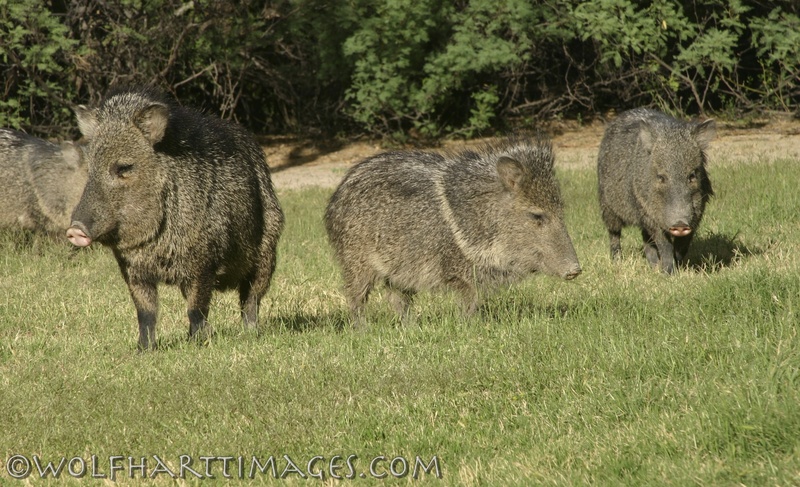 Javelinas are peccaries, family Tayassuidae, native to the Americas and should not be confused with pigs, family Suidae, which originated in Afro-Eurasia. They have aggressive temperaments and can not be domesticated. They are social, traveling in herds and possess large canines, or tusks, used to crush hard seeds and slicing plant roots which they also use for protection. They are amazingly quiet and walked right up to and through our camp. Selar was luckily inside the trailer at the time and didn’t have the taste for hunting that Varel has. This entry was posted in Dogs and National Parks, Great Danes and tagged Big Bend National Park, Javelina, National Parks, Selar, Texas, traveling. Bookmark the permalink.